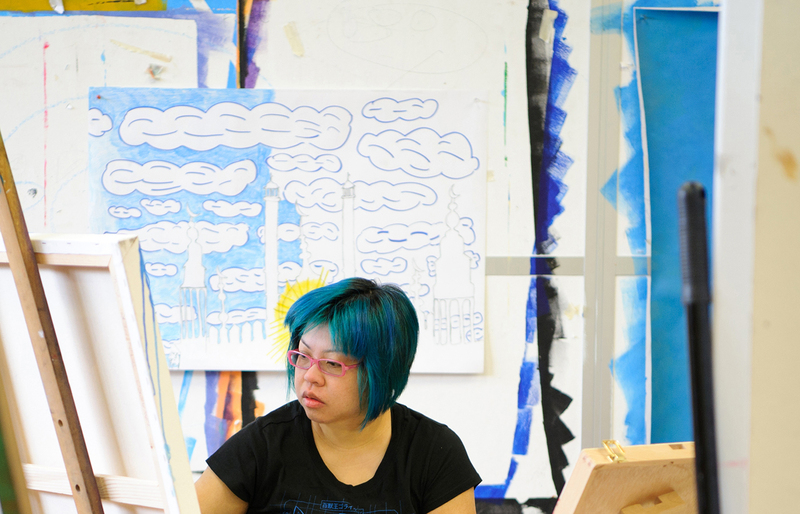 Arts Learning at FCAC has been offering a wide range of opportunities for our community to create with us. 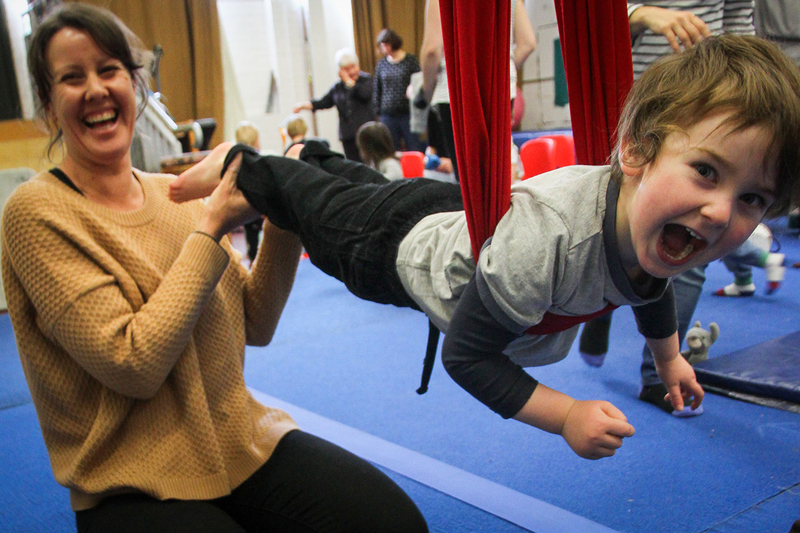 Our artist-led workshops aim to provide a friendly, stimulating and fun environment for all our participants from babies and toddlers to adults and elders. We caught up with some of our regulars to share their experience. Carley, who is an artist and teacher herself, believes in arts in education. Carley learned about our workshops program a number of years ago and has been taking her child Archer to the Centre since he was a baby. Together, they have participated in Music for Toddlers, 5 Rhythms Dance, Baby Has a Curly Line and Toddlers and Preschool Circus Club. Their favourite workshop is the circus club. Carley praises the welcoming environment at FCAC, “The workshops offer such wonderful social activities for both parents and children. Based in Melbourne’s west, she learned about our workshops for adults through Maribyrnong City Council. CB participated as a beginner in our Painting and Drawing workshop when she started four years ago. “I was at level zero when I started. Our art instructor Darien Pullen is absolutely amazing. He’s able to help even rank beginners learn from scratch. And he’s been very patient and calm with all his students,” CB recalled. She then enrolled in Life Drawing, Advanced Painting and Drawing and started to experiment with soft chalk pastels. “I decided to move out of my comfort zone and try life drawing.” After a few years of experimenting with different styles and mediums, she is now working with oil paints. In early 2016, CB Mako was selected to be part of FCAC’s West Writers Group, a two-year program for emerging writers in Melbourne’s west. Since then, she has been combining her visual arts skills and writing talents in the world of literature. Her work has been published in various publications such as The Lifted Brow and The Victorian Writer. Her work ‘A Year of Drawing Breasts‘ won the 2016 Writers Victoria Emerging Writers’ Competition, a non-fiction piece that used her experience in Life Drawing as the framework to unveil a narrative of personal stories. Fynn first joined FCAC workshops eight years ago when a friend took him to Extreme Arts School Holiday Arts Program, where he was introduced to stop motion animation, as well as other art forms such as street art, hip hop and more. He later decided to join Introductory Animation Workshop. Throughout the years, Fynn’s passion in stop motion animation has grown tremendously. In 2013, he was one of eight animators who, together, created Tale of a Refugee (2013) which won the Little Big Shots Film Festival with a story that focused on the treatment of asylum seekers, global warming and the stolen generations. Most recently, his work Tough Guys (2016) was also shown in Gabriel Gallery as part of Milestone exhibition. 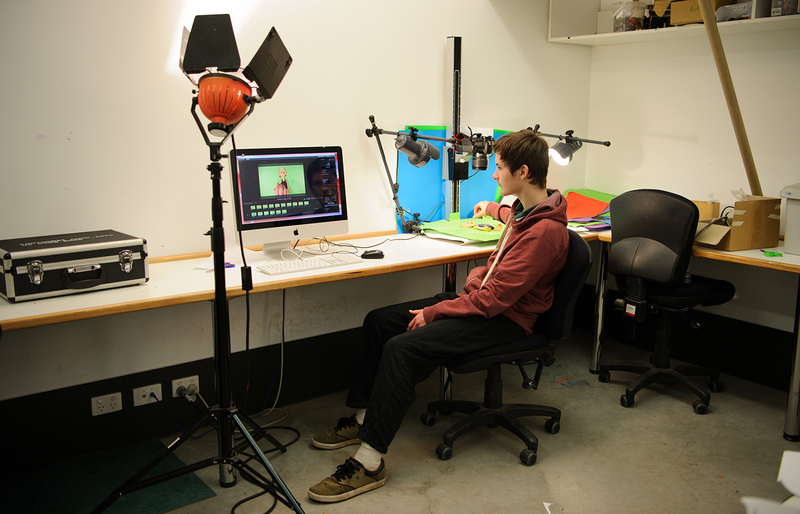 Fynn is now a regular participant in Advanced Animation Workshop, where he continues to create animated stories incorporating a range of techniques, working with award-winning animator David Pennay.